The summer festival that has been a popular staple in Australia is finally making its way to Auckland, taking over Spark Arena on January 9. FOMO By Night features top musicians that have topped the charts and are constantly pumping in our nightlife scenes. Acts including Mura Masa, Nicki Minaj, and local New Zealand DJs, The Katayanagi Twins. FOMO, Fear of Missing Out, is an accurate name if you miss this one. A visit to the Ellerslie races is an Auckland summer must do, rock up with your own picnic basket with your favorite treats, enjoy a cold beverage of your choice, sit back in the sun and maybe even place your best bet on a racehorse. Summer Race Day has a more chilled out vibe than Ellerslie’s regular races and is a perfect activity for large groups visiting the city. The perfect day out for any beach loving family, this small festival by the water is a popular day outing everyone can enjoy. On January 19 from 11am, Takapuna beach brings in the new year in style and is truly kiwi: music, the beach and good food. From live performances and food trucks to keep your bellies full, lock it in your calendars for a classic Kiwi summer day. 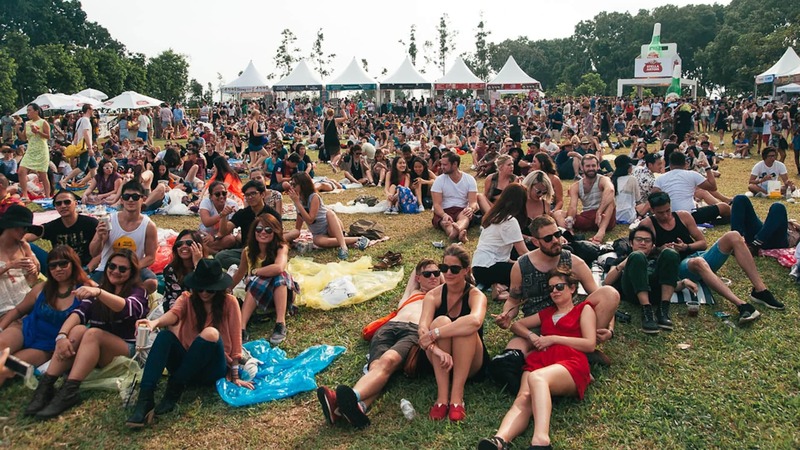 Summer wouldn’t be the same without St. Jerome’s Laneway Festival. It’s the biggest and easily the most popular music event in Auckland, with so many people coming from across the country, its almost become an annual tradition for many. Just when you think this it has reached its peak, they outdo themselves the following year with a stellar line-up. This year we’re lucky enough to have international favourites such as Florence + The Machine and Courtney Barnett as well as local hitmakers Daffodils and Miss June. The best way to sell this festival is by describing it as a small Coachella on Waiheke Island. Held at the secluded Rangihoua Olive Grove, Flamingo Pier is where you can bust out your festival fashions and rock out to the live music on the open fields. End of February marks the end of the long summer for Aucklanders and there’s no better way celebrate than hitting up the three-day festival, Splore from February 21 – 24. The Beths, Lady Flic and Forrest Bump are just a fraction of the mega line-up and it doesn’t just stop at music. Tapapakanga Regional Park is transformed into an art extravaganza from workshops, installations, wellness centres and a whole lot of love, so get amongst it. Wrap up the summer season at one of the bougier events Auckland has to offer. Watch a game of polo-otherwise referred to as the sport of Kings-while listening to live music at Heineken Urban Polo. Heineken has taken the classic sport of royalty and created a fusion event with urban live tunes with their impressive line-up including Kilter and Miami Horror. There’s no doubt that Ponsonby is one of Auckland’s most popular suburbs to visit, for both locals and out of towners. Ponsonby is most known for its boutique fashion stores and bars, but also for being the hub for some of Auckland’s best restaurants. The selection in Ponsonby is a diverse one filled with kiwi classics, award-winning eateries, and restaurants that evolve into night clubs as the night beacons. We have had a good look across the internet to find you some of the most popular selections for you to pamper your pallets with! Located in Ponsonby’s crown jewel of dining, Ponsonby Central is Honeybear, which brings with it a new nuance of Southeast Asian cuisine to Auckland. Honeybear brings the fresh and fun flavours of Burma to Auckland, The Menu is bustling with all kinds of Burmese-Indian fusion dishes— including a local favorite: poutine! And if you decide that this is the beginning of a night out exploring Ponsonby, then you can’t finish the meal without diving into Honeybear’s cocktail menus which feature mixes named after Maharajas. I already know what you are thinking, what is an unbakery? Well, as it turns out it is a heaven for health-food lovers – All food is raw, organic and free from gluten, dairy, soy and cane sugar. But don’t start thinking that this is at all a roadblock for deliciousness, because that’s not the case at all, the food here is creative and most importantly delicious. Highlights include kimchi pancake, chia bircher and spiced chestnut waffles, and pizza – which they run specials for daily. The drinks range is also equally diverse and healthy, featuring favourites such as a large range of smoothie offerings, chocolate drinks, matcha-based drinks, cold-pressed juice, kombucha and more. Not only is this food truck renowned in Ponsonby, but it has also made a name for itself across the city for one popular reason: healthy fast food. Yes, you read that right, this food truck mixes the divine mouth-watering taste of fast-food and removes the guilt that comes with consuming it – it’s a win-win situation. Ask anyone and they’d tell you that the food truck is most famous for its beetroot burger, and for good reason too, filled with juicy goodness, you’ll instantly be under its spell. The menu also features new burgers; chicken crunch and epic veggie, as well as burger bowls packed between salad-stuffed lettuce cups, and hassleback fires. This newly opened bar and restaurant has quickly become a Ponsonby favourite, giving its fellow Ponsonby eateries a run for their money. You’ll see why as soon as you open the menu which focuses on rustic pizzas, cocktails, and an approachable atmosphere—on the sunny side of Ponsonby Road. All the furniture is handcrafted in Raglan and the lovely, passionate staff will offer an experience so great that you’ll probably find yourself there until late at night as the nightlife takes over. Sometimes it’s hard to pack in exploring an entire city into one day, and with a city the sprawls as far as Auckland, ours can be especially hard! If your time is limited here in the city of sales and you want to experience the most of what Auckland has to offer, then many would suggest hoping a bus, boat or helicopter and take in a tour! We have done a little research and selected five tours that are well worth your time! If you want to dedicate a whole day to explore the city at a leisurely pace, taking in all famous hotspots the city has to offer, then look no further than the full day Auckland Scenic Tours. 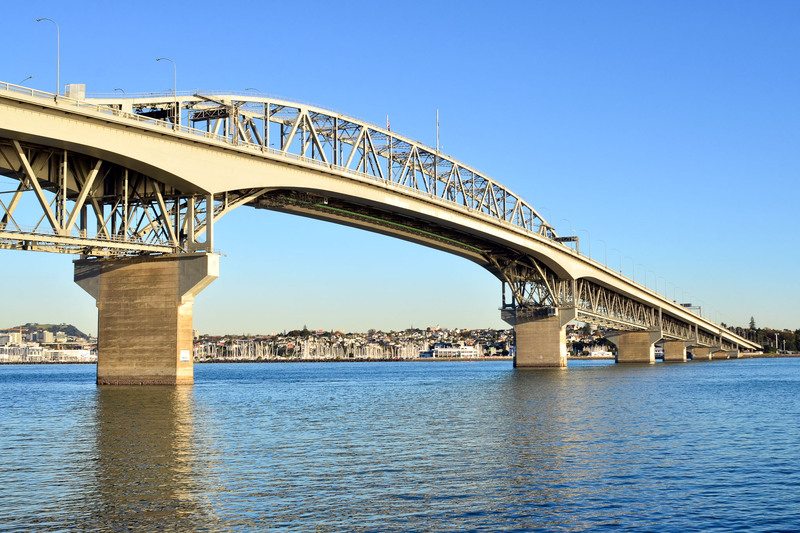 You’ll start the tour off driving across the famous harbour bridge and along the Auckland waterfront (see why we are called the city of sails) as you are taken to your first destination: Devonport! You’ll be able to take photos of the city that are saved for postcards and advertisements as you reach the summits Mt. Victoria and North Head. This tour also takes you through the top shopping hotspots and historic locations such as in central Auckland and the Viaduct before you travel out West with a stop at the breathtaking Muriwai Beach to see the Gannet Colony. You’ll finish your tour, as all good days should, with a trip to a winery or the historic Riverhead Tavern – which is one of the country’s oldest pubs, with the second oldest liquor license. Maybe you’d just like to get up in the air? For those who want to get a bird’s eye view of the city, this one is for you. You’ll get a look at the beaches of Auckland, the Sky Tower, and you’ll get to soak in the view from one of Auckland’s many (extinct) volcanos. You’ll also be dropped off for some fine dining, and the helicopter waits for you! This truly is a tour for those wanting to show off a bit of money. Yes, there is no way we could make a list about tours without appealing to those who like a tasty drop and a good meal! Fine Wine Tours bring over 40 year’s experience with their guides, as they take you on a food adventure that includes a seaside morning coffee at Pt. Chev, tours through to fine food stores, wineries, vineyard, and markets. You’ll be packed to the brim by the end, but don’t worry, you’ll also be gifted a goodie bag of authentic New Zealand foodie items so you can keep reliving the magic for days to come! If you feel like eating while burning off some of the food at the same time, then why not take a walking food tour? Eat Auckland offers walking tours of different varieties which include a walk along a lane of authentic Chinese eateries in Balmoral, or a tour for dumplings in the heart of the CBD or experience the fine dining of Ponsonby! This company has a walk for all taste buds! In past blogs, we have given you guides to some of the most common places to visit in Auckland for first-time visitors, taken you to some of the best restaurants and walks outside of the city, and found the best way to save money on your visit. Our next guide to exploring the city will take you to some of the best-kept secrets in the inner city. If you want to treat yourself and your partner to a romantic night out that wraps up with a movie – but want to avoid the usual chain theatres, then look no further than Academy Cinemas. Located under ground beneath the Central City Library, this boutique cinema has only two screens, one classic full-sized one and a smaller sixteen seat theatre. Academy chooses to skip the typical Hollywood blockbusters and instead showcases a diverse selection of indie films from both domestic and local distributors, and if you time your visit right, you might even be able to catch one of their famous and much-loved movie marathons. Hot tip – visit on a Wednesday for a five-dollar film. Truly an iconic Auckland favourite and a must visit for all bookworms is the legendary hard-to-find bookshop. Located off the main streets in a renovated old Victorian brick home, this bookstore takes a bit of adventuring to find, but once found, you’ll be glad you went. 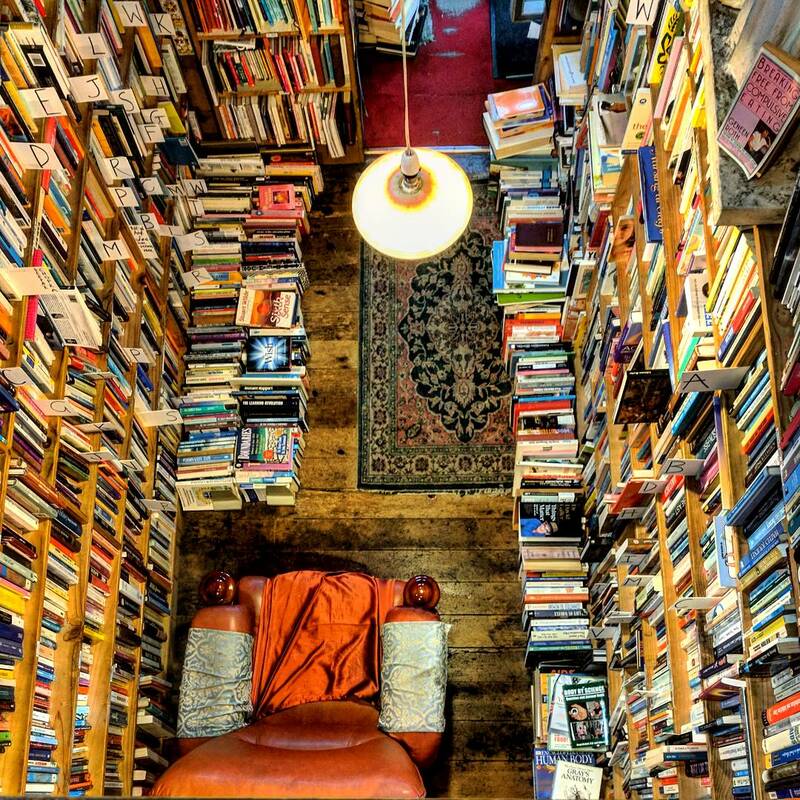 This book shop is not only called hard-to-find because of its location, but also for the collection it contains over one hundred and twenty thousand books, some of which are extremely rare – and you guessed it – hard to find. Well worth sacrificing a couple of hours to explore and for the friendly and well educated service, its well worth a visit to this Auckland institution. Located in a historic building that was once a butchery for over one hundred years Frida Margolis is now transformed into a secret little wine bar located in the heart of Grey Lynn. You’ll fall in love with this the exposed brick walls, wooden European-esque seats and quirky paintings adorning the bar. Drinks include boutique wines, craft beers and mulled wine in the winter. How does the sound of delouse Asian-fusion eats in a spacious, covered courtyard tucked away in the heart of the CBD? Well we have the place for you – The Kimchi project offers everything from kimchi dumplings and pulled pork waffles to soft-shell bao and beef bulogogi stew. Worth a visits as it is located in high street, the small one way street located just off Queen street that hides a series of off-shoots and paths containing some well-renowned boutique shops and restaurants making it one of Auckland’s most popular secrets. Feel like getting some exercise in while having a little history lesson? Devonport is home to Head to North Head and explore the dark tunnels that are placed on a long extinct volcano. The tunnels were created as early as the 1800s and soon developed across many different world wars as a way to be one of the country’s first defenses against coastal invasion. As a result, some cannons and shooting sights and prisoner barracks remain prime for exploration. This seaside theatre sells itself as one of oldest theatre in the Southern hemisphere, this theatre has been around for a long time and has managed to maintain its heritage by sticking to its vintage look, which in turn makes for quite a unique and romantic date night. Don’t worry, despite the vintage look, the theatre still features all the modern furnishings: Big screens, comfortable seats and choc-top ice creams! Calling all chocolate lovers! We have the one and only reason you’ll want to visit Devonport: boutique quality handmade chocolates and truffles that both look amazing and taste just as good! This store has everything to make your inner child spring outside from crazy flavors to chocolate figurines, these chocolates are the perfect reward after a day’s exploring, or to just full that empty space in your heart! Speaking of food, ask any local and they’ll send you to this Turkish-inspired restaurant that is located right by the water with stunning views of the Auckland Harbour and beyond. You can either start or end your day here (or both if you love it as much as we do!). The décor mixes homely wooden tables and chairs with a geometric-tiled floor and bright light and greenery. The bar features a selection of beers, wines and cocktails as well breakfast, lunch and dinner menus that are equally creative as they are delicious. Devonport is a heaven for those loving a good vintage find and book Cosi Fan Tutte is where you can find vintage pieces that are completely unique, and both Bookmark Secondhand books and Paradox books feature such a wide selection of reads, you’ll accidentally be in there for hours! She’s a relatively new activity but is fast becoming one of Auckland’s most iconic, mainly due to the bright pink bridge that is quite hard to miss when driving into the city! This path takes you on a fun and interactive walk across the Auckland city center stopping by iconic locations and offering views only available on foot – and this one is absolutely free! 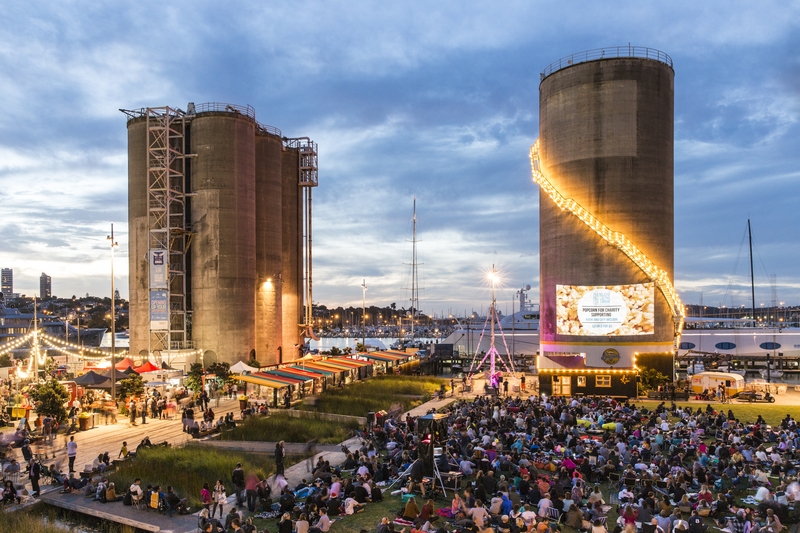 Auckland is called the city of sails for a good reason, and a walk along Auckland’s waterfront to Silo park will reveal exactly why. Silo park features a lot of things kids dream of including two playgrounds, the water, and a great viewing platform. There is also a selection of great restaurants and gelato ice cream if you do feel like breaching the wallet! 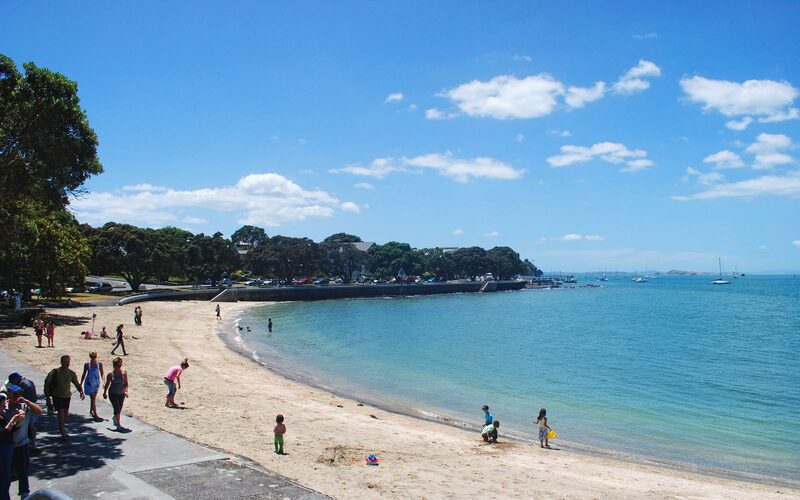 The perfect low-cost summer activity is to grab some snorkels and togs and head out to the Goat Island Marine Reserve and explore the depths and watch the wildlife if the bustle of the city just isn’t for you, this one is tailor-made for you. In the opposite season when the weather isn’t so great, sometimes you just want to be indoors, so why not catch a movie. Now, I know what you are thinking, movies aren’t exactly cheap these days – buts that’s where you’re wrong! Auckland has not one, but two low-cost options that won’t break the bank: Reading Cinemas offers $10 tickets for films, and Capitol Cinemas offer $11 Tuesdays as well! For a unique night out, why not check out what some of Auckland’s local talent has on offer? You can find bands playing original songs for free, or at a low cost at such famous local venues as whammy bar, wine cellar and Portland public house. Usually featuring a wide range of talent and genre, these gigs can offer you something small towns can’t. Welcome to part two of our blog series looking at the top shopping destinations in Auckland! In this edition, we delve in to two different types of shopping budgets and the hidden side streets of Queen Street! For those like me that sometimes need to shop on a budget, Onehunga will be a paradise for you. Located here is arguably one of the country’s biggest and best outlet malls that feature all the big-brand names from Barkers, Overland, Glassons and more. This mall is filled to the brim with discounted outlet stores that will please all fashion-forward people, and includes a food court for when spending all your hard-earned cash works up an appetite! Also located in Onehunga is Auckland’s most famous second-hand bookstores: Hard To Find. This famous store is packed to the brim with rare and collectable books to common and affordable paperbacks, with over five hundred thousand books in their depository. Located in a Vintage two-story house, the experience alone of exploring this shop is worth the visit. On the opposite end of the affordability scale, we have Britomart. Located at the bottom of Queen street near the Warf, this shopping inlet is packed to the brim with designer boutiques, award-winning eateries, and classy bars. You’ll find some of New Zealand’s top designer brands located here including Karen Walker, Katherine Wilson, Juliette Hogan, and Taylor as well as hot international brands such as M.A.C Cosmetics, Lululemon, Ted Baker, and Chanel. But it’s not all boutique shopping here, Britomart has made a name for itself with its exquisite eateries and bars that can please all pallets. Including the hidden New York style bar Caretaker, Ortolana a chic casual dining experience, Milse a dessert restaurant with mouth-watering treats and L’assiette, a little French café with a lot of flavor. Queen Street is considered the heart of the city for its busy footpaths and many hidden alleyways packed to the brim with stores to explore. One of these such streets is High Street which features an array of top designer brands for both men and women. This tiny one-way street dedicated to everything a man needs for business and pleasure including two suit shops (Barkers and Crane Brother), a classic close shave barber, and a decent shoe shop (Merchant Man). But don’t fret ladies, there is plenty of shops for you to explore as well, including Ricochet, Ruby, Decjuba and Untouched World. Federal and Elliot streets also connect off Queen Street and offer a more relaxing experience if you are looking to unwind while on holiday. This includes the East Day Spa and Bliss Reflexology which both offer massages and new ways to relax, leaving you refreshed for the rest of your visit! 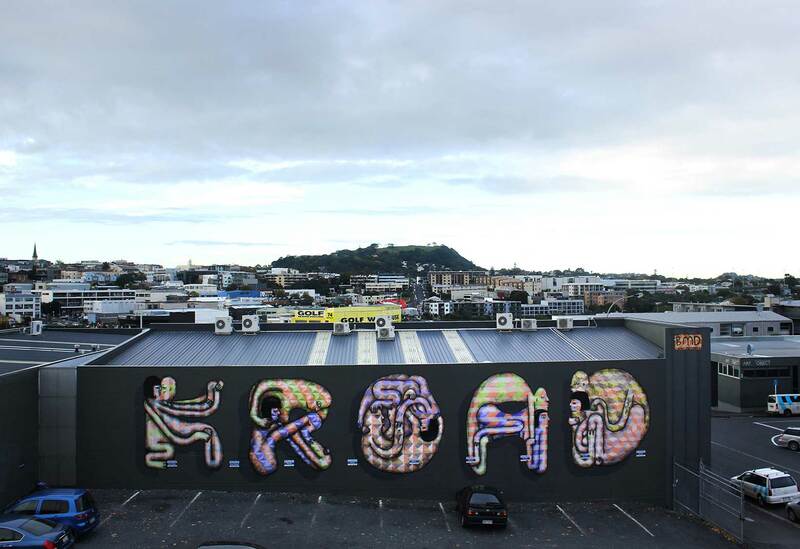 Karanagahape Road, or K road as it is more commonly known as is a famous strip of road in Auckland for many reasons, it has had a mixed history both good and bad but it is mostly remembered and celebrated for its diverse culture and offerings. Located at the top of Queen street, we’re going to take you on a small journey down a stretch of road that has defined Auckland’s Diversity for years. One of K Road’s crowning glories is its divine selection of chic vintage boutique stores. For all you vintage and second-hand clothing fanatics out there, you’ll want to make sure this stretch of wonder is on your to-do list as it collects some of the most sought-after second-hand stores in Auckland, including Paper Bag Princess, American vintage, Metro Retro, and Thriftway just to name a few. K Road also features some of Auckland most diverse and famous restaurants and cafes that can appeal to all pallets, including middle eastern, vegetarian, European and more. Some of our favourites include famed local vegetarian outlet Lord of The Fries, a burger joint for vegetarians that is to die for, Carmen Jones is a staple of the strip that offers a large selection of local flavours and is frequented by many local celebrities. A visit to K Road isn’t the same without a stop at St. Kevin’s Arcade, which features local small business, cafes, Auckland’s famous dive bars, and local art galleries as well. 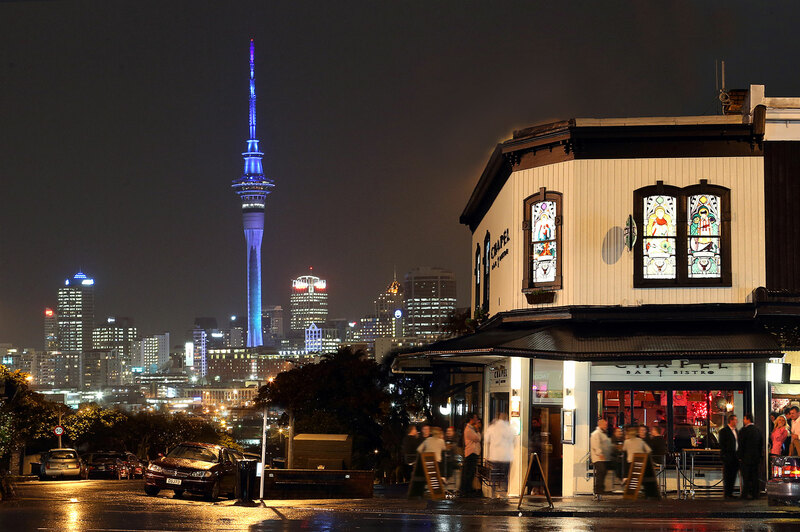 Lets start with the dive bars – if you are looking for an iconic night out in Auckland’s underground, Whammy Bar and The Wine Cellar are to local stalwarts that need to be seen to be believed, you can visit these bars most nights and catch a local musical act tearing up the stage and enjoy a bevy of beers on tap. As for the shopping you can choose between vintage American clothing stores, second-hand bookstores or support a selection of local small businesses offering haircuts, flowers, food, or massages! K Road is most infamous for its nightlife, and you can choose from a classic location, or some newly opened venues, there is plenty to choose from! These can be the aforementioned whammy and wine cellar dive bars for local live music, Neck of the Woods for some quirky but modern happenings, the thirsty dog offers your classic New Zealand Pub offers and the famous Family Bar is also not to be missed! So if you have a day to kill in the city and want to get the most local and diverse offering in Auckland, you can’t go any further than K Road. For more information on This famous stretch of road, visit the Website. When you are on holiday in scenic New Zealand, there is so much on offer: water sports, breathtaking beaches, scenic and historic walks, but sometimes being spoilt and relaxing and getting a little tipsy is what the doctor ordered, and boy do we have just the experience for you: The NZ WinePro Tours. Winning numerous awards in tourism this company offers the gold standard of day trips, curated by Tour Director John McFarlane who created the company in 2002, McFarlane has developed the company into one of Auckland prestigious experiences, and working with the department of conservation, has gained access to some of the city’s most beautiful and protected areas. WinePro offers four tours to choose from, each exploring a different part of Auckland. This tour is a six-hour journey around the rugged West Coast including the Muriwai black sand beach, but don’t fret, there is also a selection of historic and award-winning wineries to explore as well! First stop is Kumeu River Wines, Pioneers in New Zealand winemaking since 1944, sourcing wine from grapes grown on their own ten Kumeu and Huapai Vineyards. Following that, it’s Soljans Estate which also features special honey made from the native NZ Tea Tree, and after lunch an afternoon visit to West Brook Wines or the Hunting Lodge Winery for a lavish selection of wines in the cellar door shop. Heading North West on this tour, you will experience a tour through the coastal seaside resort towns of Orewa and Waiwera Mineral Springs. The wineries on this tour include Hunting Lodge Winery, lunch at Plume Vineyard Restaurant and an afternoon tasting at either Omaha Bay wines or Ascension Wines. Along the way, you will also get to stop in at the Puhoi Cheese Factory to taste some delicious cheeses, see a rare 850-year-old Kauri tree, and sample some native flora honey at the New Zealand Honey Centre. Head out west to the Piha region where you will Head up into the stunning Waitakere Ranges, Piha, and he beautiful Karekare waterfalls. During your journey you will get to taste of varietals and blends at Soljans Winery, Hunting Lodge Winery and West Brook Wines, Situated in the picturesque Waimauku Valley. The smallest and most affordable tour available takes you out to the market garden and lifestyle areas of Kumeu, Huapai, Waimauku and the black sand beaches of Muriwai. In terms of tasting wine, you’ll be taken to West Brook Wines for a cellar door tasting and The Hunting Lodge Winery a modern winery to finish it off. So if you are up for a day of exploring what the outer reaches of Auckland and this country has to offer, while experiencing some of our best wineries, this award-winning tour is one that is not to be missed.